Recently Government of Pakistan appointed 51 trade officers for posting abroad. 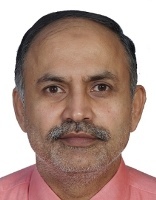 Mr. Abdul Majid Yousafani is appointed as New Consul General of Pakistan and Trade Commissioner in Sydney Australia. On 25th June 2016, New Consul General Abdul Majid Yousafani has arrived in Sydney. Sada-e-Watan expected to assume his charge from 01 July 2016. Mr. Majid Yousafani had obtained an engineering degree in Electronics from Mehran University and Masters’ Degree from Karachi Pakistan & special education from Columbia University. He worked various department of the Government of Pakistan including Ministry of Commerce and Revenue Division of the Ministry of Finance. Mr. Majid Yousafani (Pakistan Customs. Service/BS-20) is well known civil service officer of the Federal Board of Revenue (FBR). He work as Collector Pakistan Customs and posted in various important posting including in-charge of the customs operations at Quaid-e-Azam International Airport Karachi. In June 2007, Mr. Abdul Majid Yousafani was posted as a Commercial Counsellor in the Embassy of Pakistan Mexico. Abdul Majid Yousafani facilitation of bilateral trade and investment between the two countries and includes marketing of Pakistani products and image of the country in Mexico. He was Director General of Pakistan Custom prior to being posted CG Sydney.